The trauma of hope deferred robs the heart of health, but there is a solution. In this encounter-driven sermon, Dawna shares how she learned to see hope correctly. 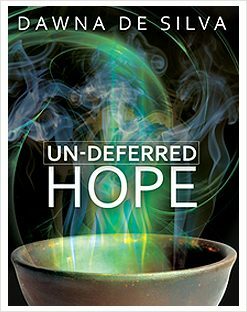 “Hope deferred makes the heart sick, but a desire fulfilled is a tree of life” (Proverbs 13:12 ESV). The trauma of hope deferred robs the heart of health, but there is a solution. In this encounter-driven sermon, Dawna shares how she learned to see hope correctly. Good news: it is possible to reach into the future and pull your hope into the present!